My little poney friendship is magic. . Wallpaper and background images in the My Little Poney club tagged: magic friendship my pony my little pony friendship is magic little is. This My Little Poney photo might contain anime, bande dessinée, manga, and dessin animé. 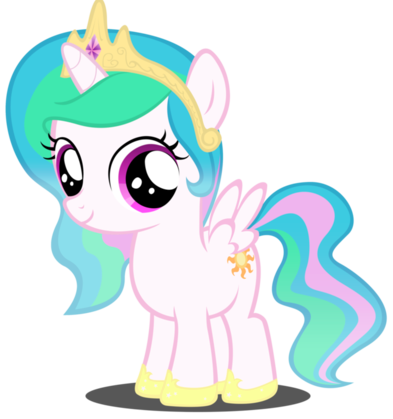 Princess Celestia looks adorable when she was little!! posted il y a 11 mois.